New Door is always looking for Bay Area professionals interested in providing their expertise, feedback, and support by working directly with our young people at skill-building, volunteer-powered workshops. Volunteers are integral to the success of New Door’s high-impact Employment Program. You’ll help youth learn new skills, gain confidence and make progress toward a successful, independent adulthood. Email Heather for more information. Volunteer workshops take place between 1:30 p.m. and 5:00 p.m. on Tuesdays, Wednesdays, and Thursdays in San Francisco, Oakland and Hayward and last approximately two hours. Answer questions about your professional journey and share firsthand work experiences. Help interns prepare for upcoming interviews with prospective employers by conducting mock interviews and providing feedback. Work one-on-one with a young person to improve their resume and get it ready to submit to prospective employers. 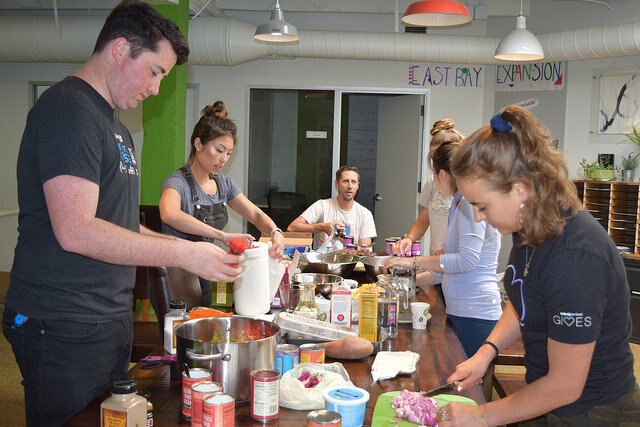 If you’re a professional living in the Bay Area who’s older than 24 and ready to make a difference in their community, we’d love to have you volunteer with us at our headquarters in San Francisco (3221 20th Street), or at any one of our partner sites in theEast Bay (Dewey Academy, Lincoln, and Youth Uprising). Interested in participating? Email volunteer@newdoor.org listing the dates you’re available and fill out a volunteer application!